Brighten up your focus wall with these polkadot spelling cards! 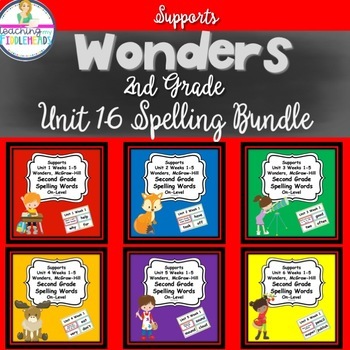 These cards support Wonders Unit 1, Weeks 1-5 spelling words for the second grade. They fit great in a medium sized pocket chart. The cards are also great for small group instruction. Please check out my store for other related products. Be sure to follow me because I am always adding new items.